I can't tell you how much I love this purchase. 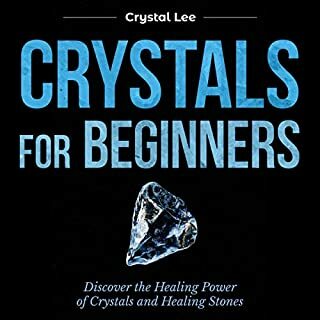 If you are new to crystals or even experienced with crystals, this book is perfect for your collection. It's edifying, beautifully illustrated and clearly explains all you need to know. 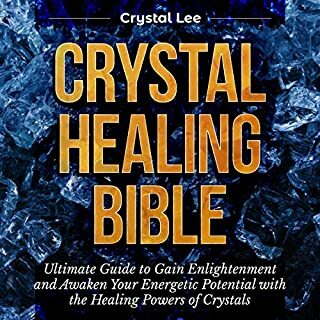 A good resource to listen or to read with about crystals and it’s properties. Enjoyed this book a lot! I really enjoyed this book. 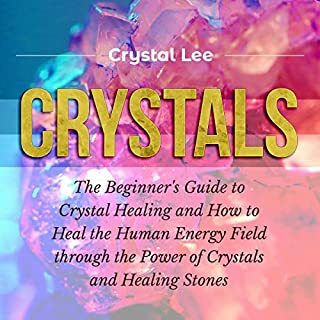 I'm new to working with crystals, and while a lot of information is available online, sometimes having a good resource in the form of a book is much better. There's a lot of good information in this book in a very easy to read format. It's very well organized, making it easy to read from beginning to end as well as easy to find specific crystals or uses. This is perfect for beginners who know absolutely nothing including all the little things about how to use them and make them work for you, cleansing, how to pick which ones to use for which reasons, and how to decide where and how to use crystals based on their colors. Has all the important information. Not only includes descriptions and uses of crystals, but grids and intentions. Very well rounded, informative and a great reference book. 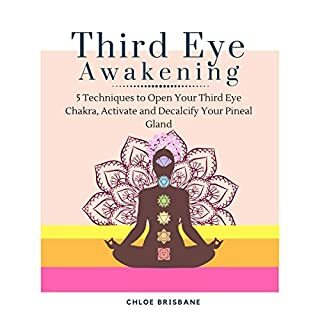 This book Third Eye Awakening: 5 Techniques to Open Your Third Eye Chakra, Activate and Decalcify Your Pineal Gland: Expand Mind Power, Psychic Awareness, Astral Travel, Intuition, Book 3 - contains beneficial and useful tips and techniques which are proven for improving your psychic sense and spiritual awareness. This audiobook will explain to you exactly what the third eye is according to a range of different beliefs, how it works, what it can do for you spiritually and emotionally and what kinds of powers it can unlock and what it has to offer with you! I love this book. I have several others, but this is one is my favorite. It expanded my knowledge with kundalini to a great extent. I feel like I have more in depth knowledge about how these work as 'energy fields' in the body. Thanks Jenifer. 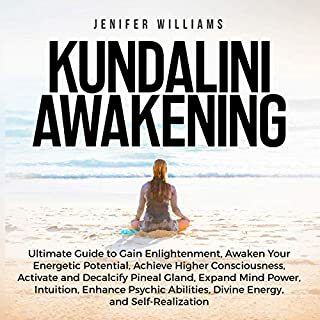 Many thanks to the author 'Jenifer Williams' that this book "Kundalini Awakening: Achieve Higher Consciousness, Awaken Your Energetic Potential, Expand Mind Power, Enhance Psychic Abilities, Activate and Decalcify Pineal Gland" has presented us beautifully and I was so happy to get a copy of this audible book! Herein you can learn a lot just like me. With that, I highly recommend this to anyone looking for an audio book about kundalini awakening. find relaxation, harmony, and inner peace. 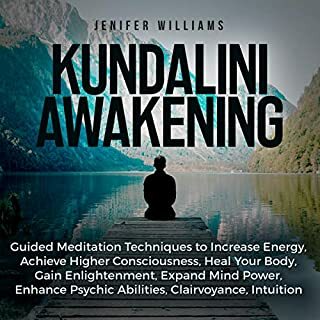 This audiobook "Kundalini Awakening: Guided Meditation to Heal Your Body, Gain Enlightenment, Expand Mind Power, Intuition, Clairvoyance, Psychic Awareness, and Enhance Psychic Abilities by Jenifer Williams" delivers a universe of easy benefits for listeners seeking to find relaxation, harmony, and inner peace. This book is awesome. If you are serious about spiritual growth it outlines a meditation plan that can radically change your life. This book is one of the best books you'll ever listen to. This is very powerful, knocking my socks off! My life is improving, I feel stronger and more balanced. Highly recommended if you're looking for more positive emotions in abundance. For me, this is one the best audiobook I have found on the subject of kundalini. It is well-organized, easy to understand, and covers situations and topics the other books have completely missed. Most kundalini books leave me feeling alienated and hopeless, and this book has had the opposite effect. author explains this complex subject in a.. 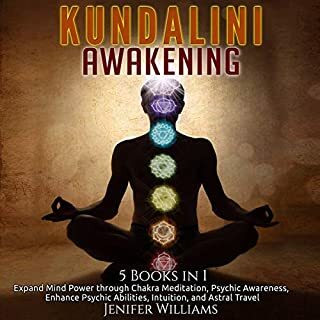 The audiobook talks about the basic concept of kundlini as well as chakras (effect of chakras on our health and seven main chakras of the body). Jenifer Williams explains this complex subject in a very simple way. Her experience in spiritual journey helps her to be a psychotherapist, counselor and medication teacher. I love all the content and the information she shared. All throughout I wish I will be able to follow the path shown by this author!